Make the most of your bedroom space with this storage bed. Two drawers in the footboard offer great space for bedding and other bulky items. A paneled headboard gives the piece a clean look and the low profile storage footboard keeps your bedroom feeling open. Turned feet add a classic touch, while the drawer hardware is simple and easy to use. The La Jolla California King Storage Bed with Panel Headboard by New Classic at Michael's Furniture Warehouse in the San Fernando & Los Angeles area. Product availability may vary. Contact us for the most current availability on this product. B1033-230 6/0 WK Side Rails 1 86" 12" 2"
B1033-110 6/6-6/0 EK/WK Headboard 1 79.25" 13.5" 60.5"
B1033-128 6/6-6/0 EK/WK Stg Footboard 1 81.25" 24" 21.75"
Furnish your master suite with the traditional styling of the La Jolla bedroom collection. Multiple storage pieces as well as footboard storage makes it easy to keep your bedroom and all of your clothes organized. 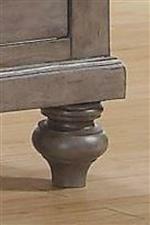 Paneled designs on each piece offer simplicity, but are offset by the elegant details of turned feet and molded tops. Solid wood and veneer construction ensures the durability of each piece. Available in Taupe and Ranchero finishes. 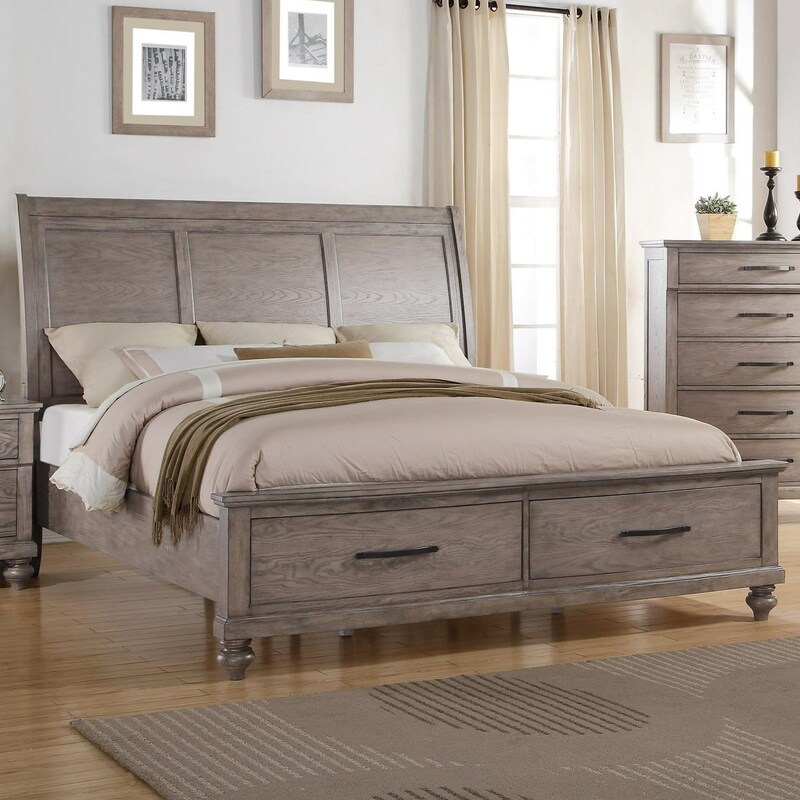 The La Jolla collection is a great option if you are looking for Traditional furniture in the San Fernando & Los Angeles area. Browse other items in the La Jolla collection from Michael's Furniture Warehouse in the San Fernando & Los Angeles area.